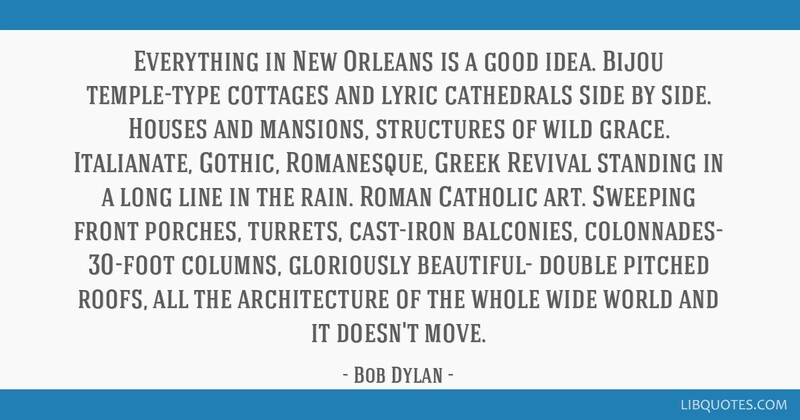 Everything in New Orleans is a good idea. 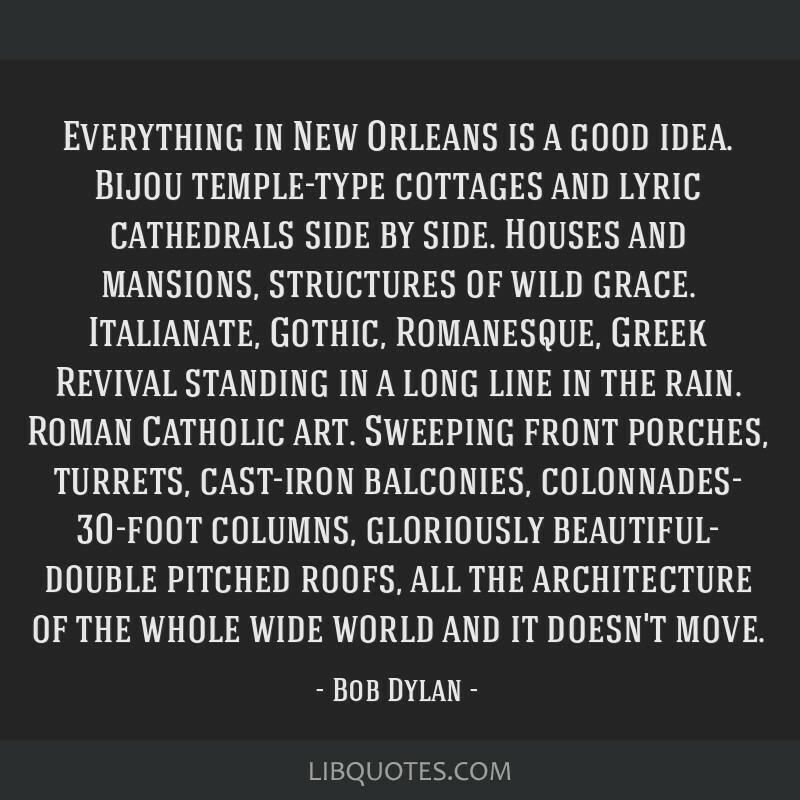 Bijou temple-type cottages and lyric cathedrals side by side. Houses and mansions, structures of wild grace. 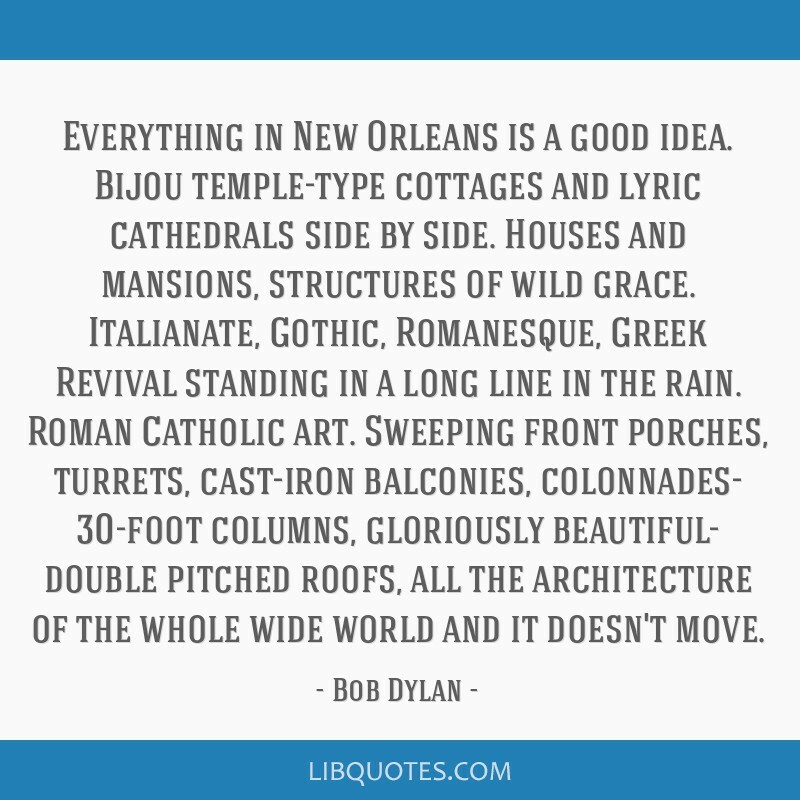 Italianate, Gothic, Romanesque, Greek Revival standing in a long line in the rain. Roman Catholic art. 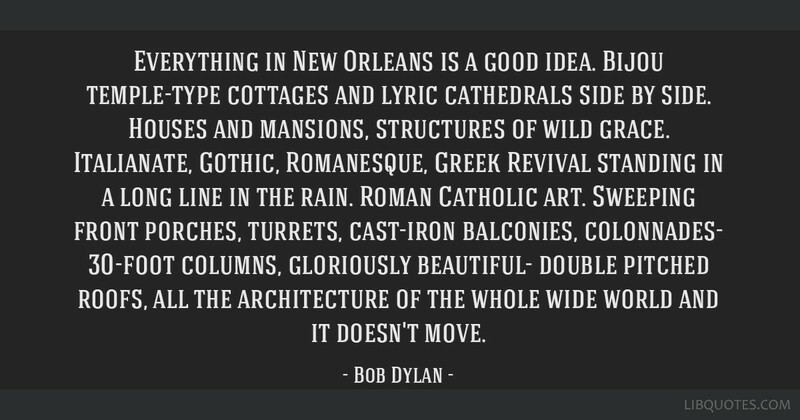 Sweeping front porches, turrets, cast-iron balconies, colonnades- 30-foot columns, gloriously beautiful- double pitched roofs, all the architecture of the whole wide world and it doesn't move.